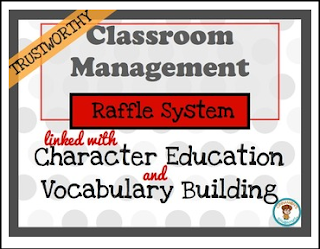 Are you looking for a fun and effective way to manage your class? Then this raffle system is for you! ✓ A poster that is blank in the middle. This allows you to come up with a co-constructed list of criteria for being “Trustworthy”. ✓ An award that is in the shape of a raffle ticket! Raffle tickets, posters and awards come in color and in black & white. this poster is an alternative to "honesty" for those schools that use "Character Counts" and use the word "trustworthy" instead. Tip: Save on ink by printing the black and white templates onto colored paper!